Stand developed for 1 hour with Adonal. It's been almost a month since I announced I was starting this project and I finally have some results to share! This was taken the day before Halloween in a local pumpkin orchard. Camera: Zero 45 on the 25mm configuration. Hello again! We are on to day 2 of the Nature Image Challenge! How about some color today? The following photo was taken with my Terrapin Bijou and Ektar. This was made up at the Salmon River on Mt. Hood. I have been spending a lot of quality time with my Zero 45 lately. 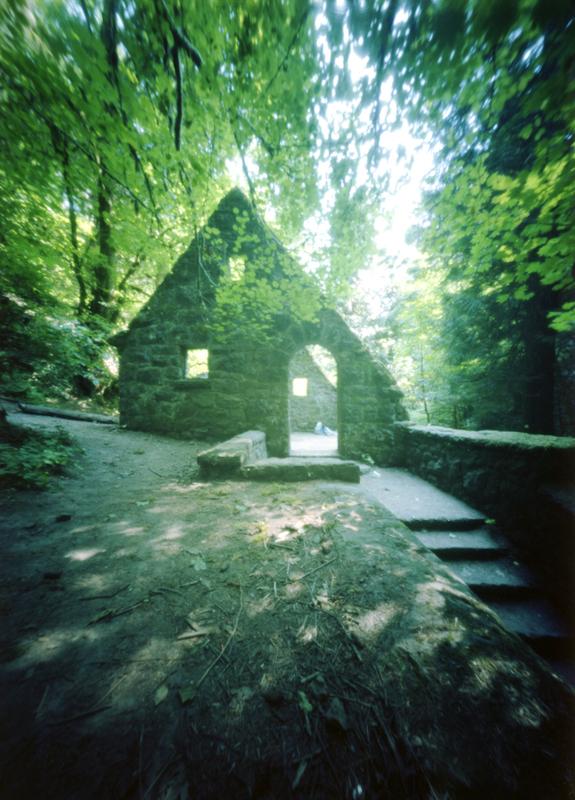 A few weeks ago I took it up to The Witches Castle in Portland and shot several frames with both 4x5 and 120 film. I thought it would be interesting to shoot the same scene, one with no extension frame (25mm) and one with 1 extension frame (50mm). I was actually quite shocked when I saw the results. It's crazy how wide the 25mm configuration is compared to the 50mm. In the photos below my camera is in the exact same spot. The only change was the extra frame. The photo on the left is the 25mm configuration. The photo on the right, the 50mm configuration. I actually like the one on the left better. It is more interesting to me.